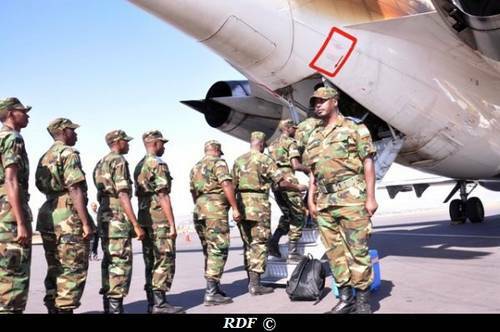 Rwanda Defence Force (RDF) conducted a relief in place operation for the Contingent of Rwandan air force personnel serving under United Nations Mission in South Sudan (UNMISS). 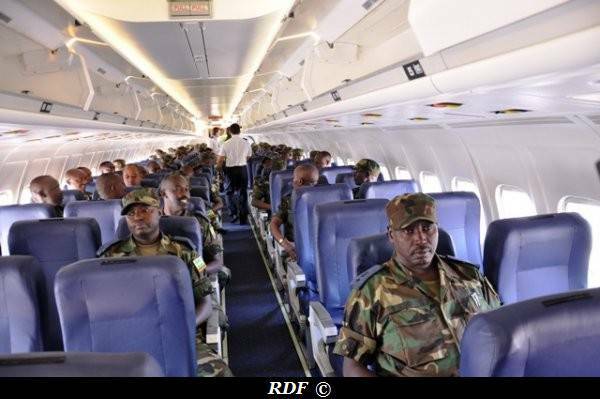 On 25 August 2013, at 10hrs, 103 officers and men of Rwanda Air Force (RAF) departed from Kigali International Airport to Juba, Republic of South Sudan. They replaced their colleagues (87) who arrived back home the same day from Juba where they served UNMISS in a period of eight months. The Chief of Defence Staff, Gen Patrick Nyamvumba, who briefed the RDF Peacekeepers before departure on Friday emphasised on excelling while performing their duties. He urged them to perform their duties excellently and to be good ambassadors of Rwanda. “As an Aviation Unit you must excel in professionalism and discipline. Be good ambassadors of Air Force, RDF and our Country. There are standards your colleagues set and we expect you to perform even better than your predecessors” said Gen Nyamvumba. 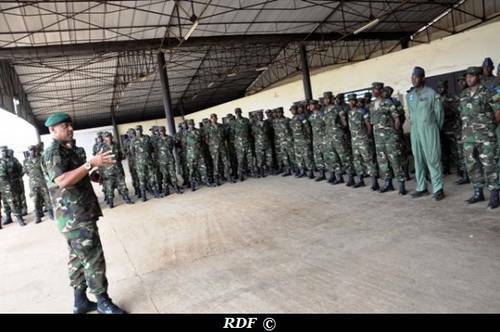 Addressing those coming from UNMISS Mission, Air Force Chief of Staff, Brig Gen Joseph Demali said that RDF leadership received reports indicating that the Peacekeepers did good job. He advised them to use the experience gained in the Mission in their daily activities while in the Country. On 27th December 2012, Rwanda Defence Force (RDF) deployed Aviation Units to support UNMISS. The contingent of Air Force deployed in UNMISS is made of 119 personnel including pilots, technicians, staff officers, medical personnel, logistics staff and security staff. There is also Rwandan battalion (Land Forces) serving the Mission in South Sudan.